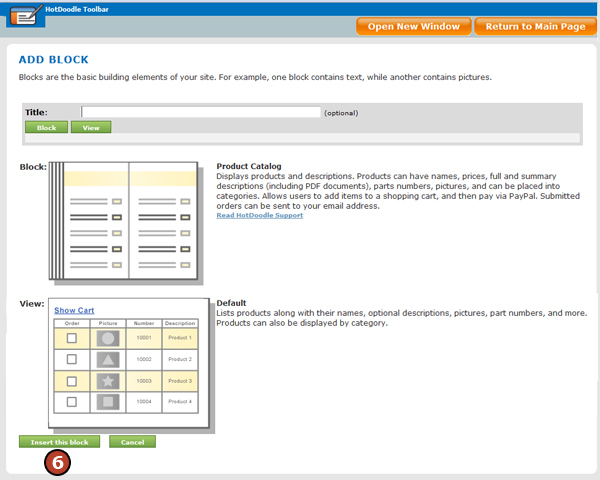 The Checkout block view of the Product Catalog Block displays a "Proceed to Checkout" button only. Unless supressed in the block configuration screen, every product catalog has a cart and a "Proceed to Checkout" button at the bottom. 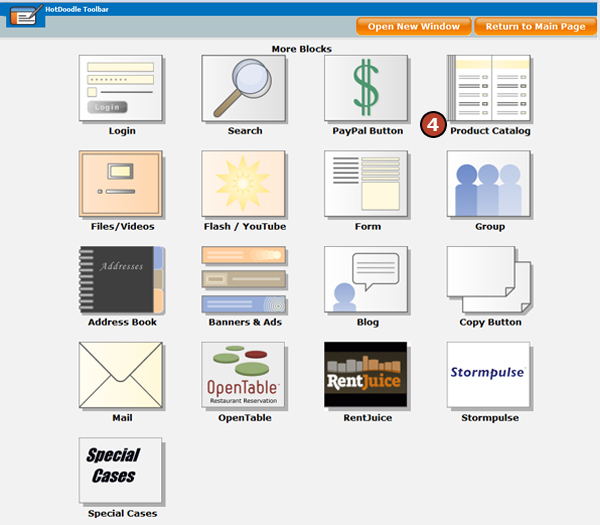 By using the Checkout view, that button can be placed in any location on the web page. 3. On the webpage, click on the "Add Here" button where the Product Catalog Checkout will display. 5. Click on the "Checkout" block view. 6. Click on the "Insert this block" button. 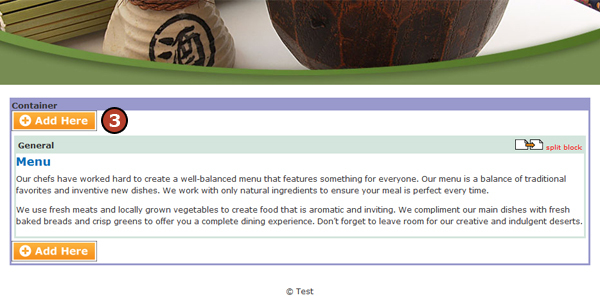 The Review Cart and Checkout button is placed on the page.